Sandra’s ARTWORKS | photography is very much about ideas, with a sharp focus on finding new ways in which to apply her photos. She sees the photo as a means of expression, without putting much emphasis on technical perfection. “The photo, for me, is only the initial step. It becomes meaningful only when the final image of my story comes out just right." 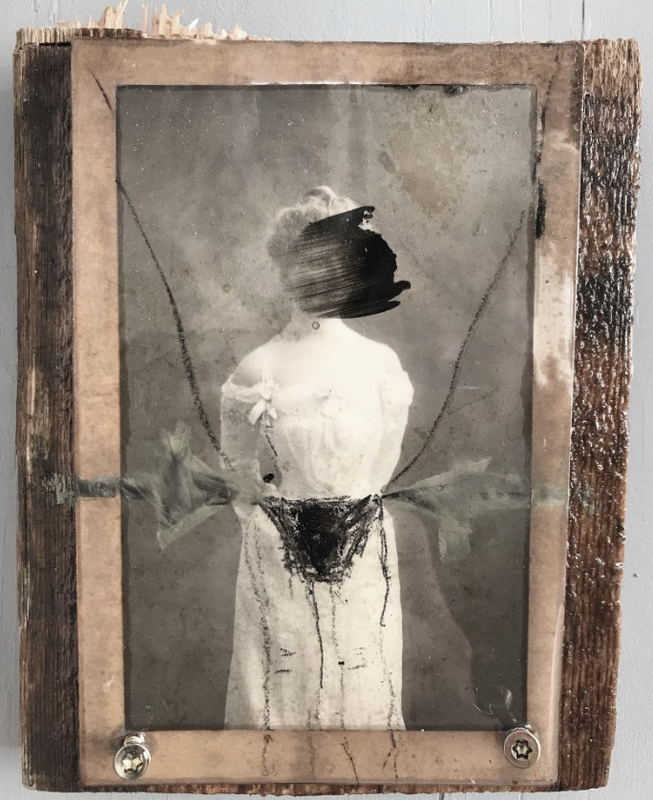 She feels a necessary urge to draw, paint and scratch on her photos, or even mix them, just so she can create a new context. “In essence, I see photos as unfinished. By working on them, the image acquires a unique, personal layer, like second skin.” For all her photo series, Sandra takes on directing, as well as composing and styling. She refers to her photos as “sandwiches”. Sandra is working on a serie FACE-OFF now [since 2017]. She shows us the beauty of the unknown. Old portrait-photo’s captured in paint and varnishes. ‘beauty is bought by judgement of the eye. -Shakespeare-. The video below includes the photo work, concepts and paintings made by Sandra, as well the collaboration of Z K U M M [see banner].